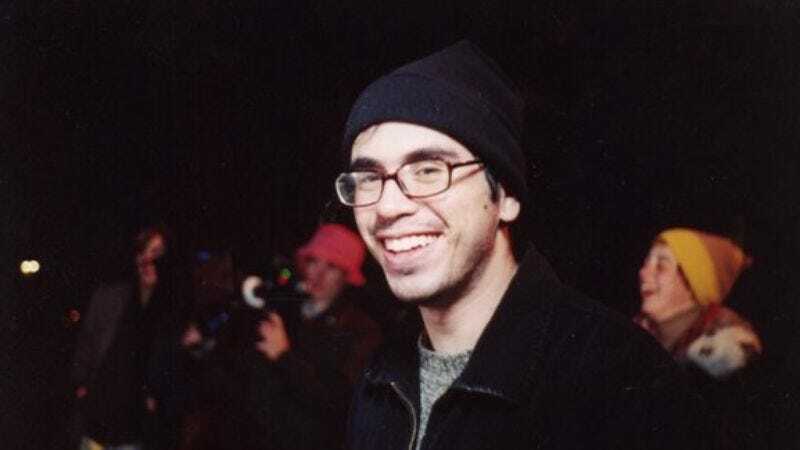 Beeswax director Andrew Bujalski fights back against "mumblecore"
It’s a bit surprising to hear that Andrew Bujalski dreams of directing an action flick. While the characters in the 32-year-old filmmaker’s last film, Mutual Appreciation, lived in New York—“the city that never sleeps”—they sure did lie down a lot, spending numerous scenes prone on futons or floors and chatting quietly about their lives. It was, if anything, an inaction movie—and one that branded Bujalski as “the godfather of mumblecore,” much to his chagrin. Bujalski’s latest film, Beeswax (which opens tonight in a limited run at the Alamo Drafthouse Lamar, with Bujalski himself attending the première) may not be the stunt-filled exploitation movie he fantasizes about, nor the “legal thriller” he’s cheekily billed it as, but there isn’t a trace of Mutual Appreciation’s lethargy here. Filmed and set in Austin, Beeswax is saturated with the city’s “pink and green” colors and shot through with sunlight. Its twin leads, Tilly and Maggie Hatcher, play sisters with concrete, grownup concerns. Yes, characters still occasionally laze about on one another’s beds, but this is a movie with iron in its blood, free of the navel-gazing and tweeness implied by Bujalski’s reputation. The A.V. Club spoke with Bujalski about battling the “M-word,” the unlikely influence of James Bond on his films, and his Roger Corman fantasies. The A.V. Club: “Mumblecore.” How do you feel about it? Andrew Bujalski: I certainly have no love for the label. I think it’s a real problem with trying to get people out to this film. It’s just a nasty term, like “shoegazer.” It’s the kind of thing where some of that music might be horrible, and some of it might be great, but if you just see the word “shoegazer,” it doesn’t exactly make you want to listen to it. It’s just an absurd concept. I’d like to think it won’t be with me for the rest of my days, but we’ll see. AVC: Have you been having trouble getting people into the theater? AB: It’s always a struggle with small films to get people in the theater. I think I have a perverse contrarian streak that’s always kind of aspired to make movies that are impossible to market. AVC: Do you ever have an impulse, like, “Screw naturalism. I’m just going to make a ridiculously fantastical movie”? AB: Absolutely. All the time. There are two aspects to that: One is the feeling of wanting to push myself into stuff that I don’t know how to do. Then there’s the other impulse to try and earn a living. I want to be careful about not confusing those too much—not that those things can’t have a healthy overlap. Plenty of people start out making work that isn’t terribly commercial, and then make work that’s more commercial but still good. You just want to watch out for that thing where you tell yourself that you’re doing your best work when you’re not. AVC: Is there a more “fantastical” concept you’ve toyed with? AB: I’d love to do a really cheap action movie. I’d love to do stunts. I mean, not myself. I’d hurt myself, but I’d love to direct others doing stunts. I think that would be a blast. The funny thing is, if I really think through this fantasy, I know that the way I conceive of doing an action movie would still lose money. No matter how far I think I’m getting away from myself, it always comes back to something that’s not terribly commercial. I would want the pleasures of the real exploitation movie, and exploitation has changed so much in 30 or 40 years. Plenty of people grow up with this fantasy of, “We’re going to do it like Roger Corman did it,” because that sounds so fun. But if you make something that’s small and goofy and exploitative, it’s nowhere near the guaranteed moneymaker it might have been 40 years ago. If you look at the way the world works now, and the way that money is made, it doesn’t seem that fun. Maybe that’s just a mental block I have. Maybe I need to get over that and find that corner where you can make money and still have a good movie. AVC: Besides that contrarian streak, what else inspires you? AB: I’ve always spent a lot of time in movie theaters, kind of absorbing anything I can. I just love sitting in the dark, and watching the flickering image up there. Just sitting in a movie theater alone is inspiring to me. It takes a pretty bad movie to drain the magic out of that—but Lord knows, those movies exist. The example I probably trot out too often as something that’s not an obvious inspiration is that, in Funny Ha Ha, the opening scene is a prologue, where she goes to this tattoo artist, and it’s a character who never reappears. It’s a separate, miniature encounter that speaks to the larger series of encounters that follow. I always thought of that structurally like, “This is a James Bond opening.” I’ve never been accused by any critic of ripping off James Bond, but I think that’s in there. AVC: You say they don’t make money, so what are your reasons for making films? AB: Part of it is just this fantasy of wishing to do for others what great films have done for you. It’s also the pleasure of working really hard on something and then seeing it up on the screen. Even though you’re the last person on earth who can experience it as a movie, there’s a great pride in having left some tiny little mark in the world.